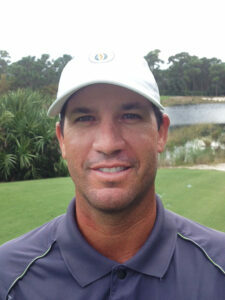 Paul Scaletta, PGA Assistant Golf Professional at The Bear’s Club, the Florida home club for the Nicklaus family, has been named the 2014 South Florida PGA Player of the Year. Scaletta’s outstanding performance on the course this season landed him at the top of the Player of the Year roster, earning 956.6 total points. This will be his second Player of the Year Award in three years. Scaletta finished in the top-10 in the South Florida Open (tie for 4th), Fort Lauderdale Open (5th) and the Florida Open (T7), but his victory at the SFPGA Professional Championship/Section Championship was the highlight of his 2014 season. In addition, he qualified locally for the U.S. Open, which earned him points in the Player of the Year race. Scaletta’s tie for 10th in the 2013 SFPGA Professional Championship/Section Championship earned him a place in the 2014 PGA Professional National Championship, where he finished tied for 31st at the Dunes Golf & Beach Club in Myrtle Beach, South Carolina. Scaletta had a successful summer, as he paired with Ric Nalyd, a PGA Assistant Professional at Bonita Bay Club, to win the Junior-Senior Championship at the Links at Boynton Beach. During the Pro-Pro Championship at the Classics at Lely and TPC Terviso Bay, Scaletta and partner David Ladd, PGA finished tied for ninth, and in his final stroke-play event of the summer, he finished tied for 10th during the Assistant’s Championship at Verandah Golf Club. With a victory in this year’s SFPGA Professional Championship/Section Championship, Scaletta will earn the opportunity to compete in the 2015 PGA Professional National Championship to be held at The Philadelphia Cricket Club next June along with a spot in the 2015 Puerto Rico Open. As a result of winning Player of the Year, Scaletta also has earned a spot in the 2015 Honda Classic, to be held February 23–March 1 on the Jack Nicklaus-redesigned Champion Course at PGA Resort & Spa in Palm Beach Gardens, Florida—just minutes from The Bear’s Club.